Roy Wheeler Realty Co. MLS# 583105 - 2425 Pocoson Wood Ct, Charlottesville, VA 22911 - Roy Wheeler Realty Co.
FREE FULL FINISHED WALKOUT BASEMENT (includes spacious rec room & home office). 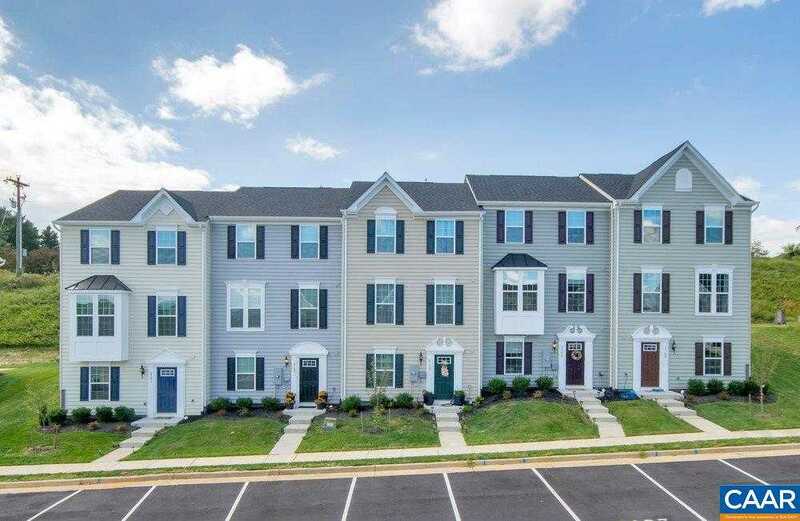 Pre-selling for Spring 2019 move-ins at Riverwood, featuring Cvilleâs best-priced townhomes steps from the Rivanna River. The Mozart features an open kitchen with oversized island, spacious ownerâs suite with private bath & walk-in closet, bedroom-level laundry, maple cabinetry, & GE appliances. Building your dream home has never been easier due to professionally designed interior options to choose from that have been preselected by an interior designer. Every new home is tested, inspected & HERSÂ® scored by a 3rd party energy consultant & is inspected for quality by an independent 3rd party inspector. Purchase by 10/31/18 to receive $3,000 towards closing costs!